Le Classique win over their arch-rivals in nearly six years. Cavani curled home from the edge of the box in the third minute of stoppage time at the Stade Velodrome when it appeared Marseille would hold on for their first victory in 15 matches against PSG. 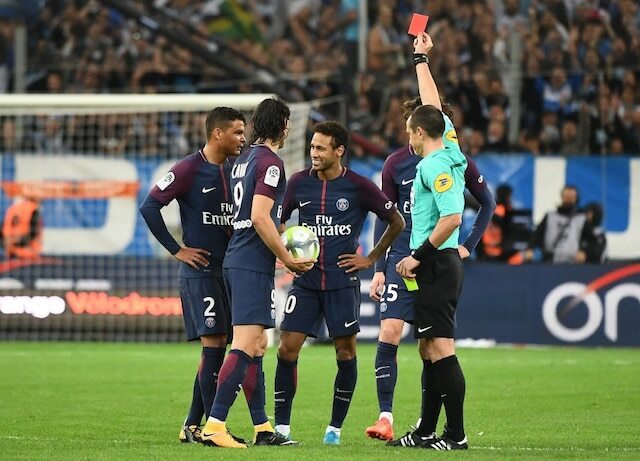 Neymar had been controversially sent off six minutes earlier for his second yellow card -- he had cancelled out Luiz Gustavo's spectacular opener before half-time -- with Cavani's last-gasp effort rescuing a point after Marseille had regained the lead through Florian Thauvin's volley. Marseille's last win against PSG came in November 2011, while the draw sees Unai Emery's capital club hold a four-point lead over Monaco at the top of the table.